This year’s theme – Honoring Our Past. Creating Hope for the Future. – encourages recognition, honor, and respect toward crime victim advocates, allied professionals, and selfless volunteers who have courageously worked for increased rights for crime victims. This year’s theme invites us to look toward a future of inclusive, accessible, and innovative resources and services for survivors. The Utah NCVRW committee and supporting organizations lead communities throughout the state in their annual observances of NCVRW by promoting victims’ rights and issues and honoring crime victims and those who advocate on their behalf. National Crime Victims’ Rights Week kicks off Saturday, April 6, 2019 with a Utah Grizzlies game. This event will be followed by a Candlelight Vigil, Sunday, April 7, located on the south steps of the Utah State Capitol. Survivors of crime will be highlighted and as well as those in our community that are advocating for expanded support and services to communities affected by crime. Saturday, April 6: Come out for Utah Grizzlies Night at the Maverick Center to kick off our NCVRW. Game starts at 7:00 p.m. and tickets are $10 each. Sunday, April 7: Join us for a Candlelight Vigil at the Utah State Capitol to honor the lives of lost victims. Monday, April 8: The Utah Museum of Contemporary Arts will host a “Healing Through Art” night starting at 6:00 p.m.
women rising to find their place in a South Pacific kingdom. Screening starts at 6:00 p.m. and is located at 1383 South 900 West in Salt Lake. Wednesday, April 10: Children’s Justice Centers (CJC) will host a Multi-disciplinary Day statewide. Contact your local CJC for more information. Saturday, April 13: Join us between 11:00 a.m. and 3:30 p.m. for a Fun and Festive Family Day with resources, cultural activities, music, and food trucks at Jordan Park – home of the International Peace Gardens. All events, except the Utah Grizzlies game, are free and open to the public. For additional information about this year’s NCVRW and how to assist victims in your community, please visit the NCVRW Facebook page. Utah Museum of Contemporary Art; Peace House; PIK2R; Utah Pride Center; Salt Lake City Mayor’s Office; Salt Lake City Police Department; Restoring Ancestral Winds; Duchesne, Tooele, Wasatch, Uintah/Daggett, Carbon/Emery, Weber/Morgan, and Utah County- Children’s Justice Centers; Una Mano Amiga; Centro Civico Mexicano; Circle the Wagons; Creative Healing 4 Survivors; Utah Organ Donors; Sego Lily Center for the Abused Deaf; Mexican Consulate; and Sorenson Unity Center Health Choice of Utah. This entry was posted in Recent Posts and tagged CJC, National Crime Victims Rights Week, NCVRW, victim rights on April 8, 2019 . Seeking justice on behalf of physically or sexually abused children and helping those children heal is the mission of the Utah Children’s Justice Centers Program. Protecting children is also a core mission of the Church of Jesus Christ of Latter-day Saints. Due to the intersection of vision, the partnership between the two organizations is a natural fit and a big reason why the LDS Church continues to support the CJC Program. Help establish a victim advocate at the San Juan facility. For more coverage on the LDS Church grant to Utah CJCs check out the links, below. The Utah Children’s Justice Program oversees 23 independently-run CJC sites that serve 28 counties throughout the state. Sites are designed with the comfort of the child in mind to provide a safe, friendly atmosphere for forensic interviews, medical examinations, and follow-up support services. For more information please contact the CJC closest to you. This entry was posted in Recent Posts and tagged Child Abuse, Children's Justice Centers, CJC, LDS Church on July 3, 2018 . 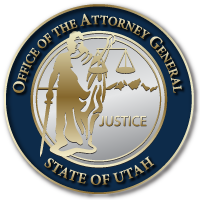 “This week we recognize a historic milestone as the Utah Attorney General’s Office celebrates 25 years of the Children’s Justice Center model in Utah. The Children’s Justice Centers (CJCs) provide a homelike, child focused sanctuary for abused children to be interviewed and supported though-out criminal investigations. Cases are handled by a multidisciplinary team of law enforcement, child protective services, prosecutors, medical and mental health providers, and others who help children find their voice and a pathway to justice and healing. This entry was posted in Archived Posts, Recent Posts and tagged Children's Justice Centers, CJC, Sean Reyes, Tracey Tabet, Utah on June 20, 2018 . Over the years, the Office of the Attorney General has been proud of its relationship with the Children’s Justice Centers (CJC) across the state. Each center offers a safe place for children while they are being interviewed and meeting with investigators about allegations of abuse. Centers also connect child abuse victims and their families with services, including forensic medical exams, mental health and victim resources. CJCs serve child victims of sexual and physical abuse, as well as children who have witnessed crimes, such as homicide. To learn more about CJC services, click here or here, or click here to find a center nearest you. This entry was posted in Archived Posts and tagged Children's Justice Center, CJC on June 20, 2018 .